PLEASE LET THE U.S. GET THESE!! 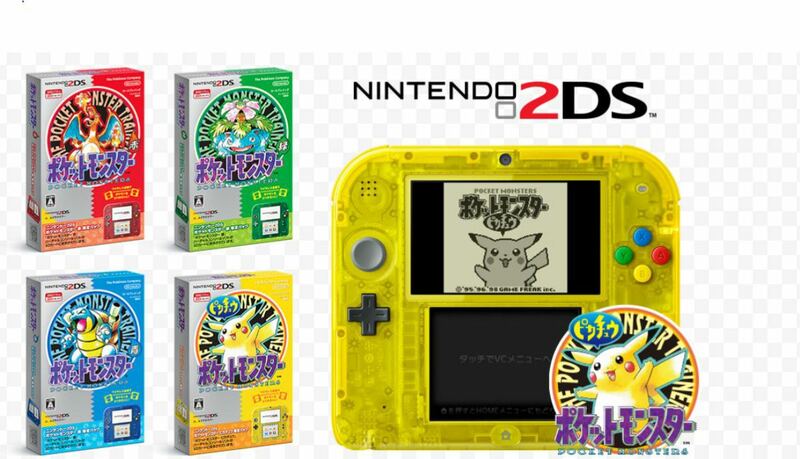 For the 20th anniversary of the franchise, Nintendo will be releasing a series of four PokÃ©mon themed 2DS handhelds. Each of the 2DS will represent a version of a first generation title with the colors being, red, green, blue, and yellow. Each 2DS will also come with a download code for their respective version of PokÃ©mon. You also won't have to push any trucks around because each 2DS also comes with a download code for Mew. Other cool perks are: a map of Kanto, a home menu inspired by each game, and stickers! Oddly enough this is Japan's first release of the 2DS, but even though the U.S. has had the handheld available for a while that wouldn't stop me from buying all four if they become available here. 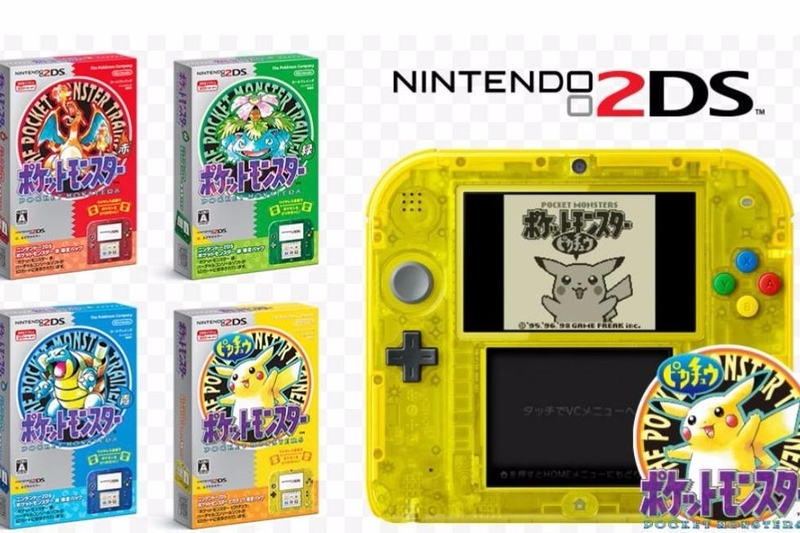 The PokÃ©mon 20th Anniversary 2DS Collection will release in Japan on February 27 along with eShop versions of PokÃ©mon Red, Blue, Green, and Yellow. Don't feel too left out though, the U.S. eShop will get the games (sans PokÃ©mon Green) on the same day.